Every good day starts with a good night’s sleep, so it’s time to upgrade how you catch your Zs. This time, we’re not talking about your mattress or the thread count of your sheets (although those are all cozy bedroom details to consider). Today, we’re talking about your pillow. 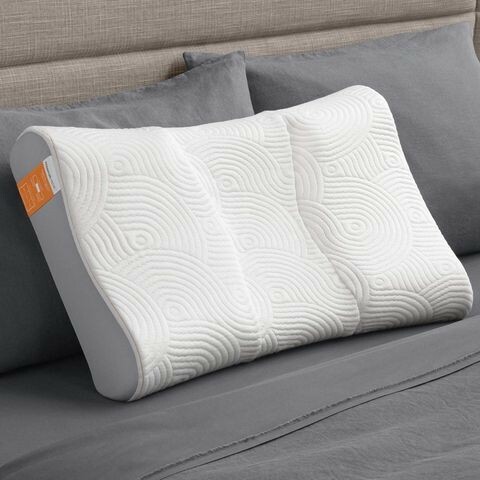 The pillow you choose can make all the difference between springing out of bed well-rested and spending the morning trying to massage away the kink in your neck, just so you can turn your head. But with the hundreds of options out there, choosing the right pillow can be tough. Many people—sleep experts and average Joes and Janes alike—swear that memory foam can be the key to a great night’s sleep. Originally developed by NASA, it is made of polyurethane that manufacturers say offers customized support. On the other hand, there are people who claim the pricey pillows are nothing but a waste of money. So what’s the deal? But not every expert we talked to is such a fan of memory foam pillows. Memory foam pillows are not all created equal. Individual preferred sleep positions vary, as does the type of pillow you need. If you sleep on your side, you’ll need a taller pillow to compensate for the added height of your neck and shoulders. Stomach sleepers, on the other hand, need a much thinner pillow to keep their head from being lifted higher than its natural position. According to Kalika, you should buy a memory foam pillow that offers height adjustment, so you can ensure that your pillow is always exactly the right size for you. But height isn’t all you’re looking for. He also says a great memory foam pillow will include gel infusions to combat heat trapped in the pillow. Even if you’re armed with all this information, the choices can still be overwhelming. These are the best memory foam pillows on the market, according to our experts and some very well-rested reviewers. Shredded memory foam can be removed or added to this pillow. Kalika, who emphasizes the importance of an adjustable-height memory foam pillow, recommends The Original pillow by Coop Home Goods. 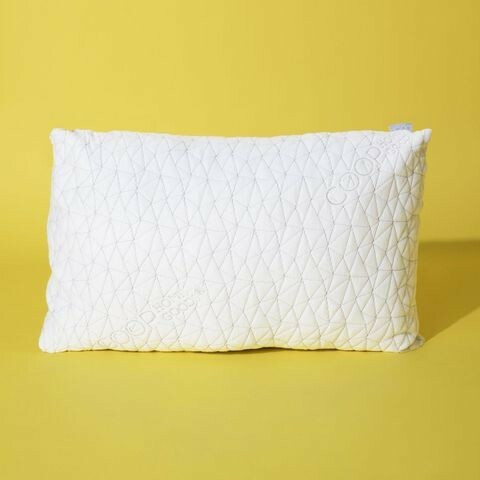 With its zippered enclosure, you can remove the shredded memory foam and microfiber filling to make sure your pillow is always perfectly suited to your sleep style. Side sleepers will find that this pillow supports their head and neck the best. Dr. Josh Adams, with Arizona Medical and Sports Rehab, calls the Lianlam Memory Foam pillow his “best overall” pick for a memory foam pillow for side sleepers. “Pillows that are thick and firm are best for side sleepers, as they keep the neck from kinking to the side,” he adds. This firm pillow is worth the price. It may seem a lot to spend $129 on a pillow, but Conrad says it’s worth it. 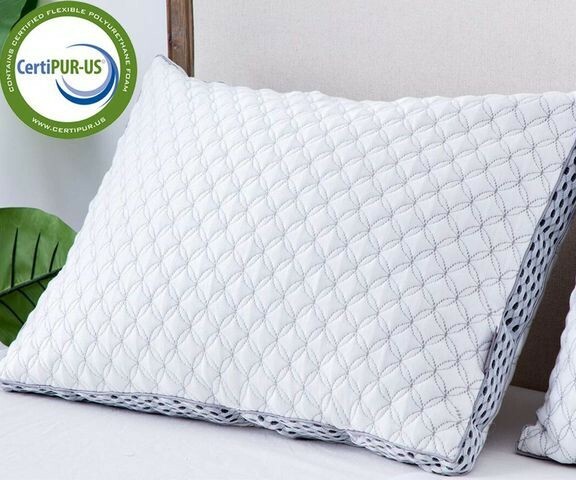 “This pillow is good for those who sleep on their back or side, and has firm support to allow the normal cervical curve of the neck to stay in proper alignment,” he says. None of our experts mentioned the Royal Therapy Bamboo Adjustable Side Sleeper pillow, but as the No. 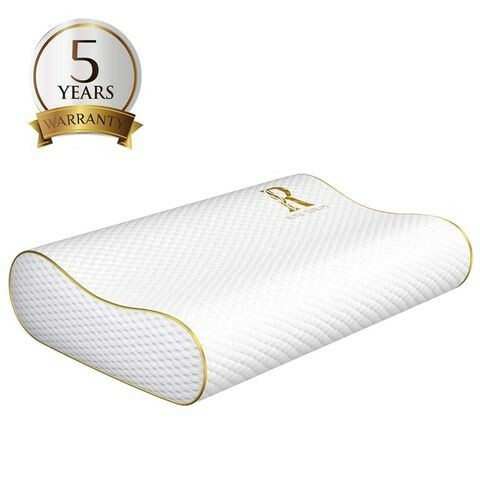 1-rated memory foam pillow on Amazon—with 97% of reviewers giving it five stars—it deserves a mention. This one is made of solid memory foam, but it’s still adjustable, thanks to the middle layer, which can easily be removed to accommodate different height requirements.